Home » Did you know » Do I have the Best Vision Possible? Our expert eye doctor, Dr. Orr, is committed to providing you with the best vision possible. He will perform a detailed eye exam to check your eyesight, in our Lafayette, California, office. This includes a thorough eye test to determine your vision prescription for eyeglasses and contact lenses. In general, an accurate vision prescription aims to give you 20/20 vision. What does that number mean, and is it really the best vision? What does 20/20 and all those numbers mean? The standard by which all eyesight is judged is referred to as 20/20 vision. This is regarded as “normal vision” and describes what someone should see when standing 20 feet away from an eye chart. Can people have better than 20/20 vision? 20/10 vision is thought to be the maximum visual acuity of human eyes without binoculars or other magnifying devices. Recent advances in optics have led to the creation of corrective lenses that can provide this ultra-sharp vision. Do we prescribe eyewear for vision higher than 20/20? Although it’s possible to fit eyeglasses and contact lenses that give sharper than average vision, the gold standard in optometry is still 20/20. A prescription for 20/10 will certainly improve distance vision, yet it may compromise near vision. 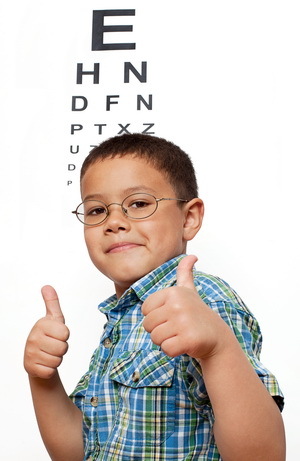 In our Lafayette optical center, our experienced optometrist will check your visual acuity carefully. Using high-tech diagnostics, we’ll ensure that you receive the best vision prescription for your ocular condition and lifestyle needs. While we don’t promise eyesight like an eagle or hawk, at Lamorinda Optometry we are dedicated to fitting our patients with the sharpest vision possible for humans!